The nightspot closed 18 months ago but could be reopened as a new bar after having its licence renewed by Newcastle City Council. A former bar on the banks of the River Tyne has been given the go-ahead to reopen. Victoria 22 on Newcastle’s Quayside closed 18 months ago but has been granted a new licence by council bosses. The move could signal the opening of a new venue in the base of the eye-catching curved building on Sandhill, close to the Swing Bridge. It would be another boost for the Quayside, which has seen resurgence in recent years, with a flurry of new bars and restaurants opening. Among them are Hop and Cleaver, which moved into the former Offshore 44, Tiger Hornsby, which replaced nightclub Julie’s, and the Bridge Tavern, formerly the Newcastle Arms. The site has stood empty since 2013, when Victoria 22 closed its doors. 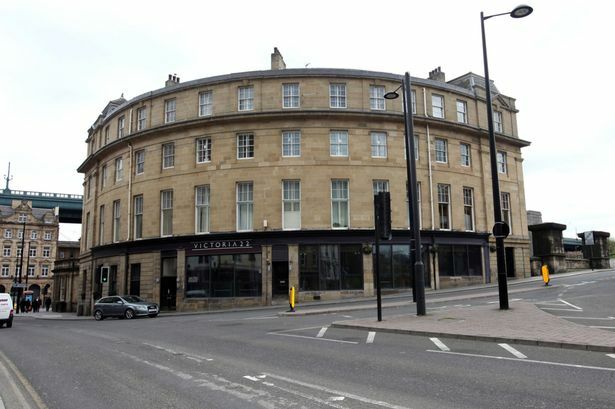 But it is now up for grabs and could open as a new nightspot after Newcastle City Council’s licencing sub-committee approved a licence request. It is currently being marketed for either sale or let by business agents Christie and Co and is expected to attract a lot of interest. The licence allows films, live music, recorded music and alcohol sales from 11 am to 11 pm Monday to Thursday, 11 am to midnight on Sunday and 11 am until 1 am Friday and Saturday. Matt Foster, Partner and Head of Mincoffs Solicitors Licensing and Gaming department, working with Sunderland-based applicants Durham Estates Ltd, said they worked with residents and various agencies to come up with a number of conditions. Northumbria Police said the nightspot could add to the “cumulative impact already experienced in the city”, fearing a rise in antisocial behaviour.